The chin defines the lower third of the face and plays an important role in facial harmony and proportions. A deficient chin usually affects the neck profile and gives the impression of a large nose. An over-projected chin, on the other hand, looks disharmonious and unattractive. 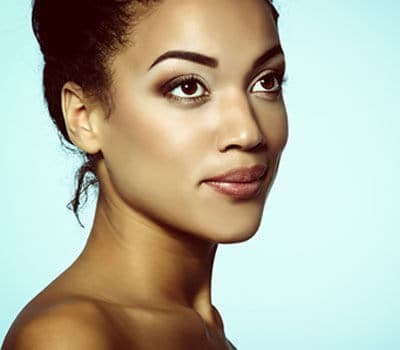 Surgical correction of the chin, also known as genioplasty, is generally performed to augment or reduce the size of the chin to restore appropriate facial proportions. During a comprehensive consultation, Dr. Alghoul can review your candidacy for genioplasty and discuss your aesthetic goals. For some patients, Dr. Alghoul may find that a rhinoplasty procedure may help bring the facial features into balance. He will discuss all of your treatment options. Genioplasty is performed under general anesthesia as an outpatient procedure. You may engage in light activity the day following surgery. Return to normal activity, including exercise, takes up to two weeks. Rinsing the mouth with an antiseptic mouthwash after eating is recommended. Tooth brushing can be resumed carefully after surgery. Antibiotics are prescribed for five days. If you’d like to schedule a consultation with Dr. Alghoul to discuss chin augmentation, please call (312) 695-3654.